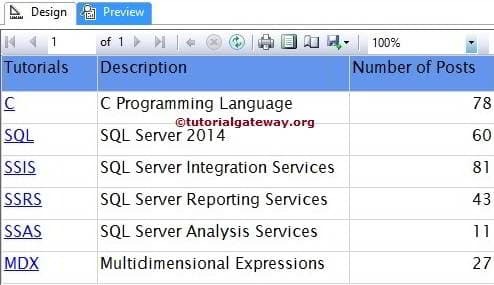 In SQL Server Reporting Services, Actions are used to add additional functionality to Reports. It means, we can define the events to take place when users click on the text box or certain area displayed on a report. Go to report: Most commonly called as Drill Through Action. 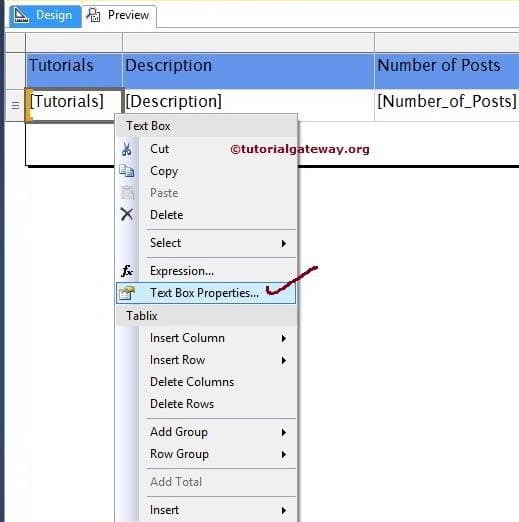 This type of action allows the user to navigate from one report to another by clicking an object in the main report. 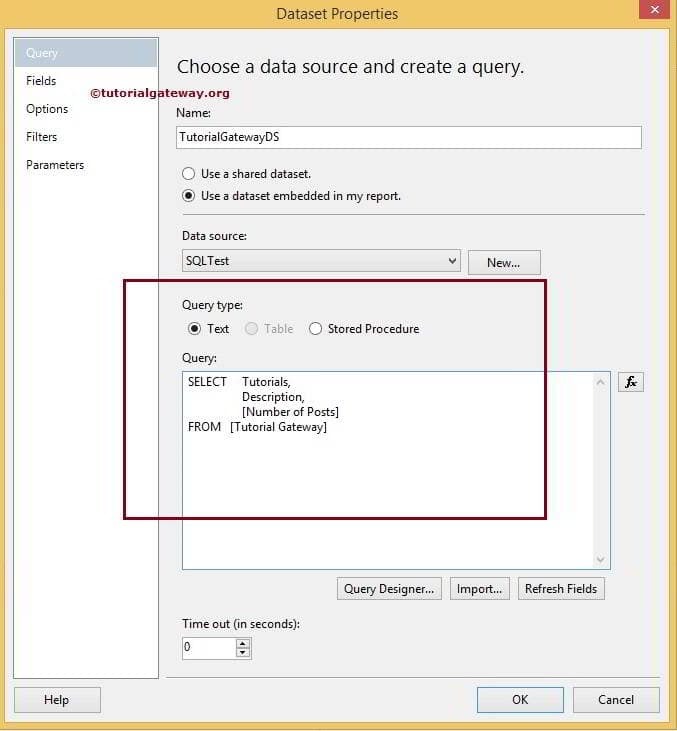 Go to bookmark: This type of action allows the user to navigate to a pre-defined bookmark within the same SSRS report. 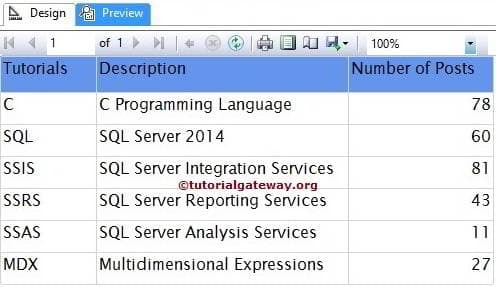 For instance, If the report is too long then we can define the bookmarks to navigate easily. 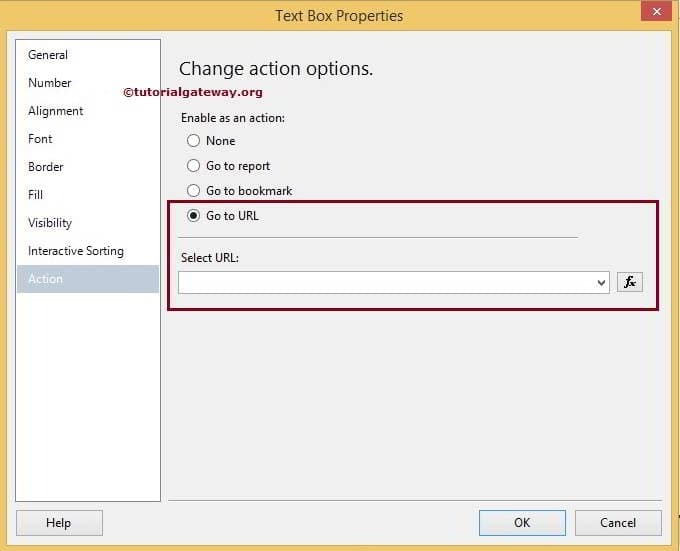 In this example, we will show you, How to enable Go to URL action in SSRS Reports with an example. 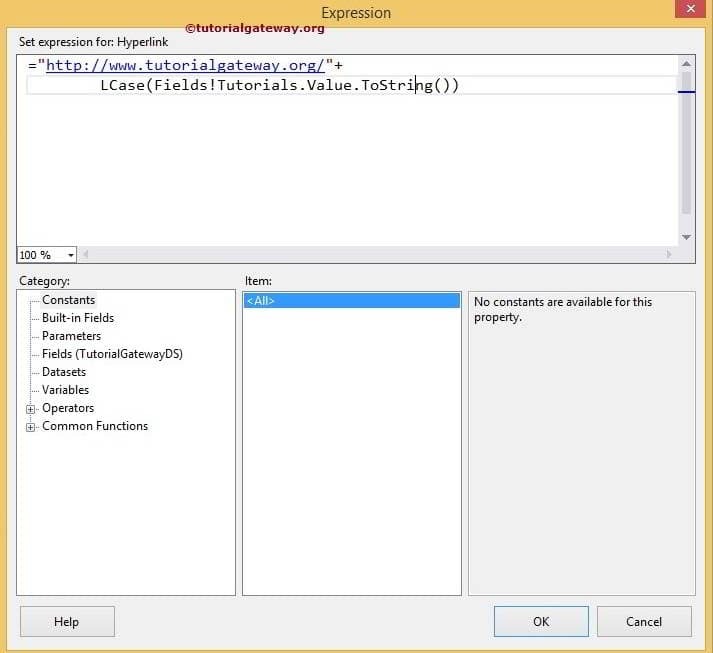 Below screenshot will show you the Embedded Dataset we are going to use for this example. Let us see the Report preview as well. 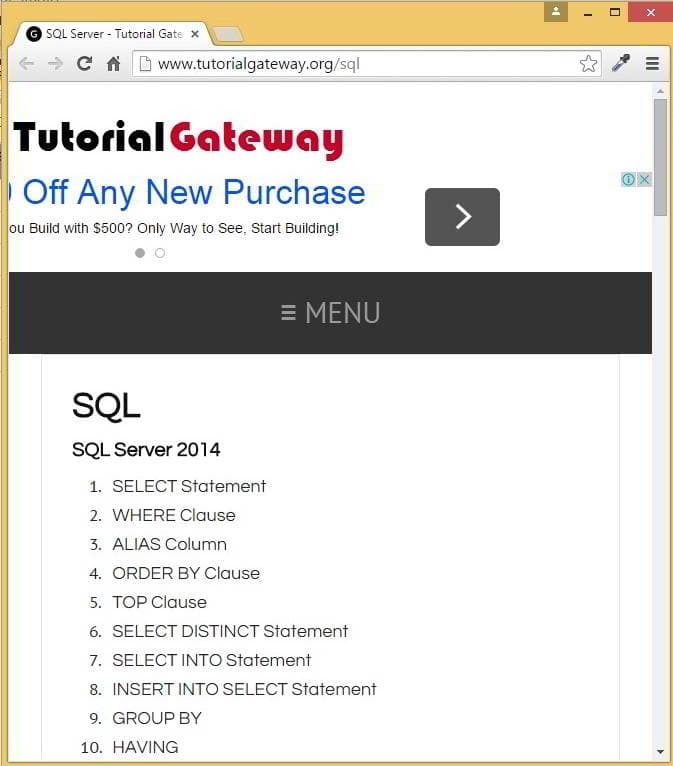 If you observe the below screenshot, It’s just a normal Table Report displaying tutorialgateway.org posts archive. 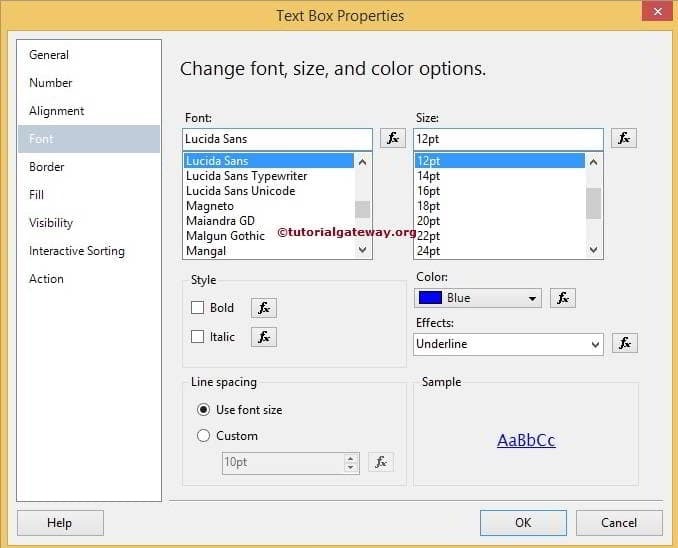 Once you select the Text Box Properties.. option, a new window will be opened to configure the properties. 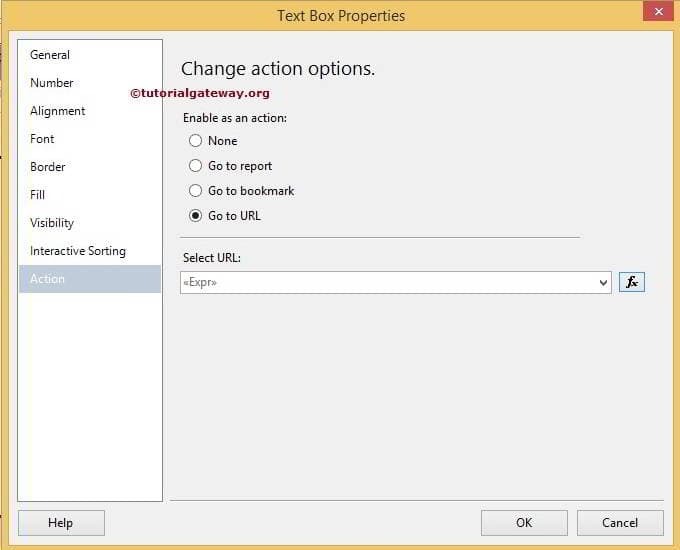 Please Navigate to Action tab and choose to Go to URL option as shown below. 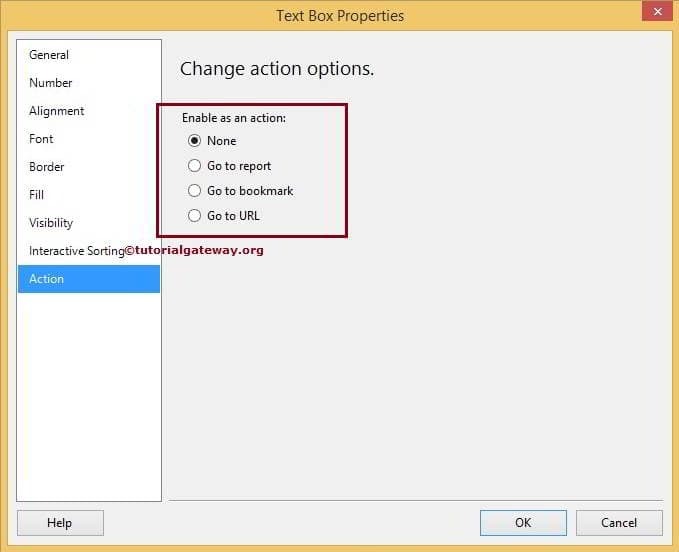 Click Ok to finish enabling Go to URL action on table report.